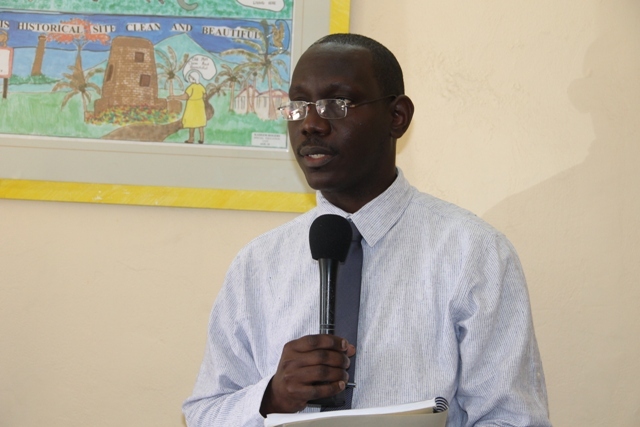 Policy and Regulations Officer in the Ministry of Tourism John Hanley giving brief remarks at the Taxi Permit Handing over Ceremony at The Nevis Island Administration Building on March 11, 2015. NIA CHARLESTOWN NEVIS (March 17, 2015) –Taxi Drivers on Nevis will be easily identified and validated as of March 11, 2015. In a ceremony at the Ministry of Tourism, where the official implementation of the 2012 Taxi and Tour Operators Ordinance took place, certificates and taxi permit photo identification cards were distributed to certified operators on the island. Policy and Regulations Officer in the Ministry of Tourism John Hanley gave a brief overview of what the ordinance entailed. “Today begins the process of the official implementation of the 2012 Taxi and Tour Operators Ordinance and the minimum standards regulation that accompanies and supports this ordinance …this legislation also incorporates best practices from other Caribbean countries…These are the objectives of the Taxi Ordinance to outline minimal standards for taxi operations in Nevis both for drivers and their vehicles. Secondly, to encourage taxi drivers to work together and co-operate with other industry stakeholders. 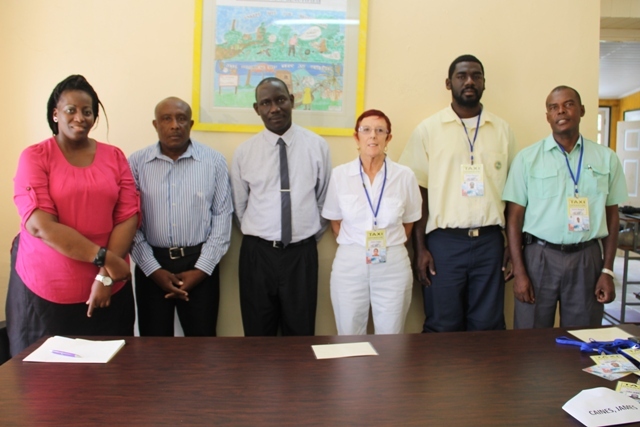 Thirdly, to improve the level of discipline, transparency and professionalism among the taxi operators on Nevis. Fourthly, to improve the image of the taxi sub-sector and by extension the overall Nevis tourism product. Then, to enhance customer satisfaction levels of visitors to our island, to empower the Taxi association and finally, to provide an avenue for issues and complaints relating to taxi operations can be effectively and quickly addressed,” he said. 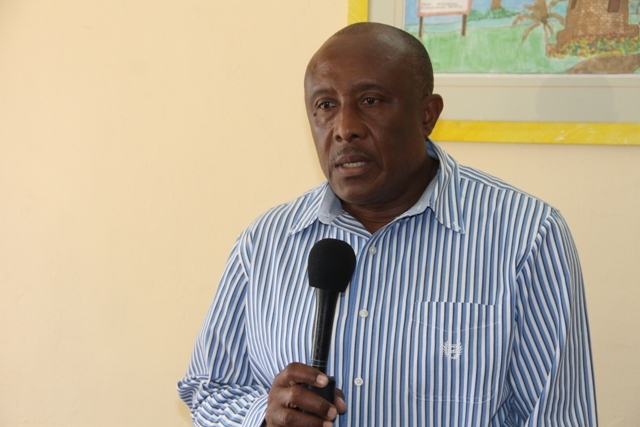 Hanley also stated that all taxi operators must obtain a taxi permit in order to operate in the prescribed areas in Nevis. Failure to do so may result in substantial fines up to ten thousands Eastern Caribbean Dollars alongside other penalties. Acting Permanent Secretary of Tourism Mr. Carl Williams encouraged taxi operators who have not yet applied for certification to do so to assist in the continuous effort to improve the tourism product on the island. Product Development Officer Nicole Liburd took the opportunity to issue an announcement of the upcoming Taxi Training Seminar which will be held on March 03 to March 30, 2015 from 5pm to 8pm nightly at the St.Pauls Parish All-Girls School. Registration forms are available at the Ministry of Tourism at the Bath Hotel.